Opana abuse and overdoses are significantly up throughout America, especially in rural communities. In only one year, fatalities have risen over 100% in Florida and other states. In places like Scott County, Indiana, Opana is now responsible for over half of all the overdoses. Opana is killing people all over the country in record numbers. There seems to be something about this new drug that is even more dangerous that OxyContin, even though that seems hard to believe. 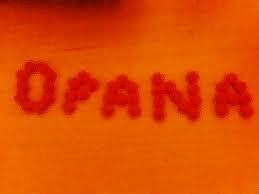 Opana is not a new opiate, but it has recently been widely re- released by Endo Pharmaceuticals in 2010. Its generic name is Oxymorphone. It turns out that Endo Pharmaceuticals was awarded a patent for it in 1955 and they first released it in the USA in 1959. However the company withdrew it from the market in 1972 after it became clear that many addicts were trying very hard to get it. There was a lot of pressure from regulators. It was clear that this was a dangerous drug. To voluntarily take a drug off the market is not a step that is taken lightly. When I came to practice medicine in the US in 1983, Opana (Oxymorphone) was not available. But I quickly heard about a drug that drug addicts loved to get – it was called Dilaudid. Dilaudid (usually pronounced “dilordas” on the street) is generically named Hydromorphone – you could say a chemical cousin to the Oxymorphone that is now re-released as Opana. It was very well known by physicians that addicts loved to get “dilordas”. Doctors I worked with warned me about any patient asking for dilordas by name. The doctors I trained with told me that there is one easy way to tell if someone is a drug addict – they will ask for “dilordas” by name. Sure enough, I hadn’t been practicing very long when my first patient came in asking for dilordas. Others soon followed. I found it kind of amusing. They would tell me they needed a pain killer and they would casually bring up the name dilorda, and ask if I had heard of it. They would often tell me that some friends or a family member had told them that it worked so well and they would like to try it. If I resisted prescribing it they would then often tell me that they were allergic to all the other pain killers. If I continued to resist prescribing it they would become quite upset and even get angry. It became obvious to me that Dilaudid is a very pleasurable drug and a very addictive opiate. And now, the cousin of Dilaudid – Oxymorphone - has been re-released as Opana. I guess that Endo Pharmaceuticals changed their mind about whether Oxymorphone was too dangerous to be available. Sure enough patients love taking it. The street price for one tablet has been reported at $140 – a sure sign of its perceived value to addicts. Unfortunately, Opana is not just a very addictive drug; it is also a particularly dangerous one. There are a couple of reasons why Opana is so fatal. First, milligram for milligram, it is very strong, as compared even to OxyContin and other pain killers. I have had patients tell me that the equivalent dose of OxyContin 80mg is Opana 10mg – eight times as strong. That is, if addicts need OxyContin 80mg to avoid withdrawal, they are able to use only10mg of Opana. Since many addicts will primarily look at the number of mg they are taking this could easily lead to overdose. Second, Opana is 10 times stronger when it is used IV. In medical terms, we say that the oral form is only 10% bioavailable. In practical terms, this means that if a 40mg ER (Extended Release) tablet is injected IV, it is the equivalent of taking 400mg of oral Opana. That is a huge dose and usually a fatal dose. The manufacturer reports in their literature that the best dose to use IV is only 1mg at a time – not 40mg! Third, the drug interacts with alcohol. If alcohol is taken along with Opana, the blood level becomes unpredictable and can rise over 270%. So if people use alcohol along with their Opana, they are often getting twice as much Opana as they thought they were – a potentially fatal situation. Also alcohol is a sedative and adds to the sedation and overdose potential. Unfortunately, it looks like Opana is here to stay. US sales of the ER formula are running over $600 million per year. With sales like that, it makes it very difficult for any company to take their product back off the market! At The Coleman Institute, we specialize in helping people get clean and stay clean from alcohol and drugs. In particular, as the article suggests, there are many people suffering from addiction to Opana. If you or someone you love is in need of detox from opiates, alcohol, benzos, Methadone, or Suboxone, please do not hesitant to call Jennifer Pius at 1-877-77-DETOX (33869). Help, hope and healing begin here!